Caring for patients at home with skilled nursing and durable medical equipment is an integral part of healthcare and a significant challenge; especially since many patients’ most common contact with physicians is in the emergency room or hospital. 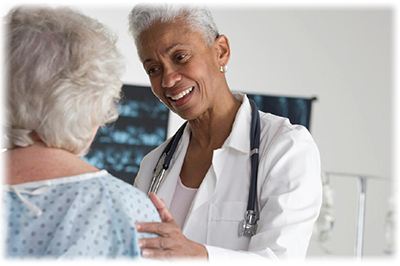 All Care Health Solutions coordinates patient care, and can help decrease visits to emergency rooms and hospitals. Our singular focus and expertise in skilled clinician home visits means we understand the needs of the patients, caregivers, and medical professionals. We are accustomed to processing home health orders for care, managing coordination of services which also allows us to perform many diagnostic tests right in your patient’s home, and arranging for durable medical equipment needs. We understand your need for efficiency and we will respond quickly to your referrals. The implementation of electronic medical records creates real time documentation, up-to-date prescription drug records, and more specificity on ICD9 codes. All visit documentation, physician orders, and prescription changes are sent to appropriate medical professionals. Regular skilled clinician home visits, medication management, and care coordination improves the health of a homebound patient, provides relief and support to caregiver/family, and results in better outcomes for hospitals and other agencies.